Photo courtesy of Capitol Records. 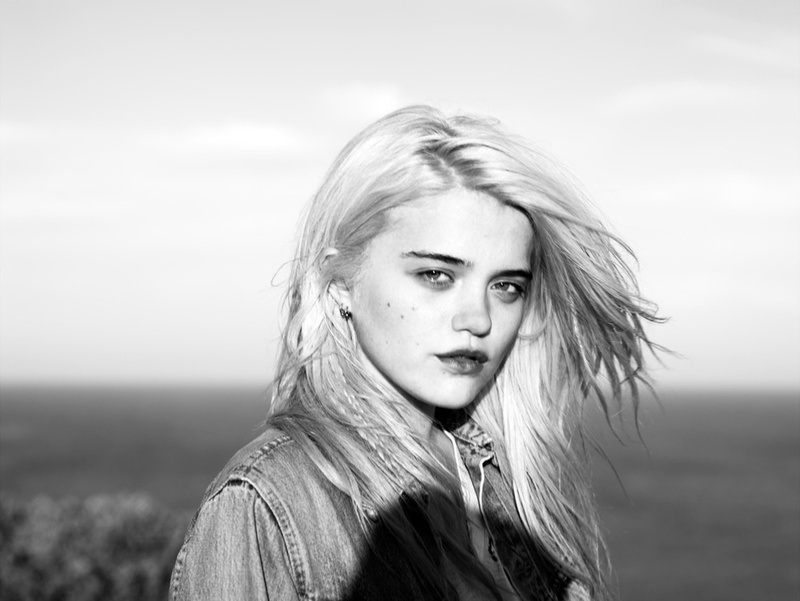 I have been a Sky Ferreira fan since her first electronic dance single "One". She's reinvented herself quite a bit since her 2010 debut, showing she can sing bombastic pop-influenced tunes, acoustic ballads and hard-hitting alternative music. On the track "You're Not The One", Sky has settled on a '90s grunge-era alternative sound that supplements her feisty vocals. She sings, as you can guess, about loving the wrong person, because they love someone else. The music video finds Sky wearing sunglasses at night while laser lights punctuate the guitar-filled track. Sky looks sultry with her wet hair, mesh top, and leather jacket. While this type of music video is nothing new for Sky, the edgy visuals are stunning. Sky's new album Night Time, My Time is available on iTunes now. "24 Hours", another song off the album, is also available as the free iTunes Single of The Week. "It's the middle of the night and I'm so gone. And I'm thinking about how much I need you. But you really want somebody else."